I arrived in Taupo more than 25 years ago planning to stay for a three-week holiday. But the Central Plateau worked its magic and I've been living here ever since. Celebrating is something my family and I love to do - for happy or sad reasons and much in between. Becoming a celebrant is the most natural progression in my life's career and something I utterly enjoy! 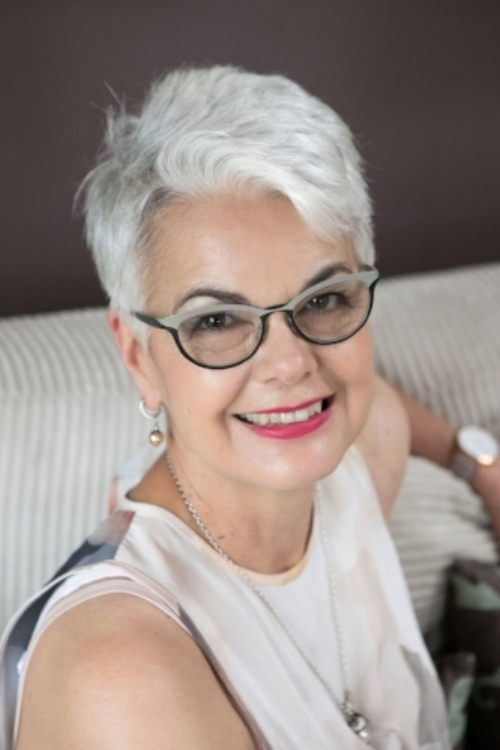 I am a registered independent celebrant and a validated member of the Celebrants’ Association of New Zealand (CANZ), with a certificate in celebrant studies form the Celebrant School/Te Wananga Korowai Aroha. I also serve on the national executive of CANZ. From 1990 I worked in media and community relations for the Department of Conservation leaving in 2008 to become a local journalist and broadcaster for Newstalk ZB. I am a published writer and have worked as a freelance writer, event manager, fundraiser and have lectured in Public Relations and Communications at Waiariki Institute (now Toi Ohomai), Rotorua. I'm an accredited member of the Public Relations Institute and since 2013 I've been a communication advisor at The Business Studio, now Legend. I love the joy of marriage, celebration and ritual; it’s such an important part of life. I have also experienced the trauma, sadness, shock, anguish and sometimes the relief of loss, I have a great empathy and understanding for people in this situation. I love getting outdoors in Tongariro National Park and for a city fix travel regularly to Wellington and Auckland. South East Asia and remote areas of Canada are my favourite destination abroad. Pilates, cycling and swimming help with fitness and the effects of imbibing Pinot Noir. I'm married with three adult children and one grandchild.